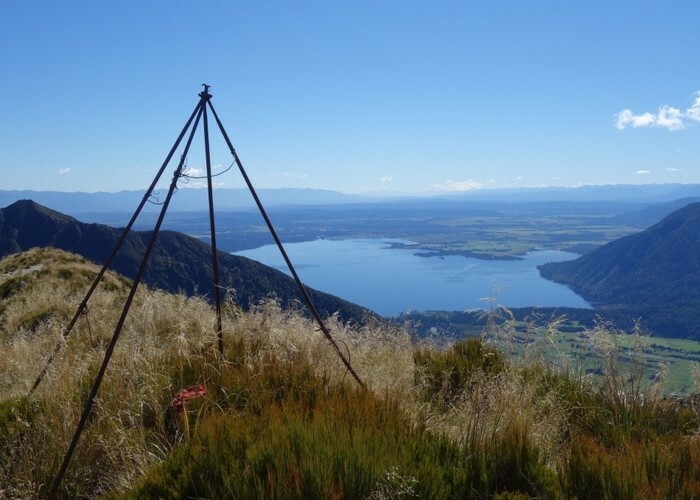 This photo shows an historic iron pipe trig (survey triangulation beacon) that remains standing on Mt Ruberslaw, Hohonu Range. It is Lake Brunner in the background. Lake Poerua can also be seen from the summit if looking in a different direction. The map pointer shows the summit of Ruberslaw. Added 1 March 2019 by glennjglennj. No revisions.